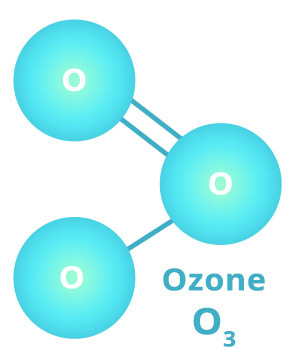 The Ozone Layer is the natural layer of gas called Ozone (a molecule made of three atoms of oxygen (O3)), found in the upper atmosphere (stratosphere).It protects humans and other living things from harmful ultraviolet radiation from the sun.Although ozone is present in small quantities throughout the atmosphere, most (around 90%) exists in the stratosphere. The Ozone layer traps harmful sun’s rays and allows friendly sun’s rays to pass through.With more UV radiation reaching the earth surface due to ozone depletion, human health, and the environment will be adversely affected. The most significant effects are increased incidences of skin cancer, eye cataracts, damage to human immune system and to the ecology of the earth. The Ozone Layer has been destroyed by the ozone depleting chemicals from the industries, which cause it to weaken and allow harmful sun’s rays to reach earth surface.These chemicals include chlorine and bromine atoms and have a long lifetime in the atmosphere.Once released into the atmosphere, the react with ozone molecules in the presence of sunlight and destroy the molecules. One chlorofluorocarbon molecule can destroy tens of thousands of ozone molecules. Carbon Tetrachloride (CTC)Some of these ODSs are Greenhouse Gases and has potential to cause global warming. These means that control or reduction of these ODSs will also reduce climate change. What you can do to protect the Ozone Layer? Try to use products which are labelled "Ozone-Friendly"
How can we protect ourselves from this dangerous sun’s rays? Protect your eyes by wearing sun glasses. Wear sun hat to protect the face. Stay indoors and in shades during hot sunny days. Apply sun screen to your body before going out in the sun. Wear clothes to cover your body to the legs.